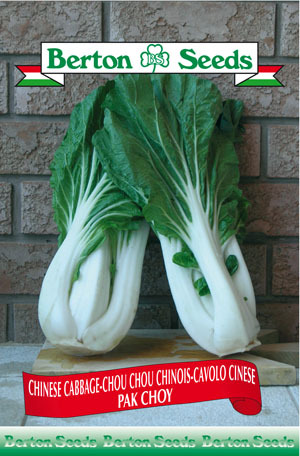 Pak Choy is a cool season vegetable best sown in late spring or early fall. Sowing instructions: Plant seeds 1 cm(0.5 in) deep in rows spaced 60 cm(24 in.) apart. Thin or transplant seedlings 20-30 cm(8-12 in.) apart 15-20 days after sowing. Harvest plants when they are 20-25 cm(8-10 in. )tall approximately 45 days after sowing.